Distinguish your cards with the help of Labels! A Label is a little colored dot that appears on the upper left side of your Cards to help you classify and identify different types of Cards. 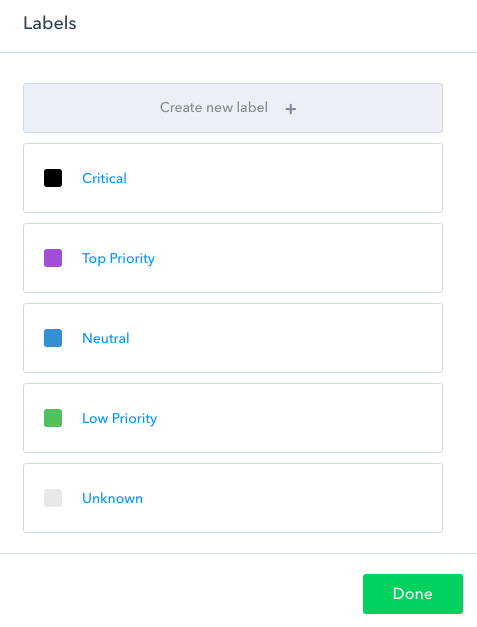 You’re free to add more Labels, or to edit or delete the existing ones to better suit your needs. 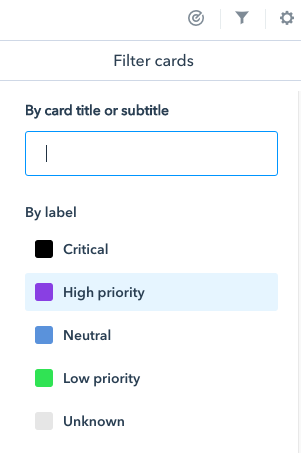 Labeling your cards allow you to use the ‘Filter’-option on the upper right corner of your screen: you can ‘separate’ your cards by creating labels for card type, priority or any other criteria.